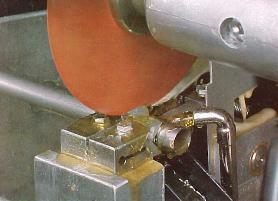 Kerry Abrasives have built a strong reputation for manufacturing precision abrasive cutting wheels. 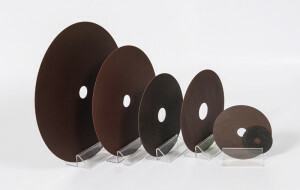 Kerry Abrasives exacting production standards translate into a high-quality abrasive cutting wheel with a very high degree of dimensional accuracy, allowing our customers to achieve the precision they require on their cut parts. But to achieve the highest possible efficiency in production, Kerry Abrasives wheels are custom made to suit each and every unique customer application. Specifying the correct abrasive grain and grit size, together with selecting the hardness and different bond formulations is part of our longstanding expertise and experience in the development of bonded abrasive solutions. Kerry Abrasive offer solutions for cutting hard materials or difficult to cut materials, wheels for cutting where fine finishes and minimal burr on delicate materials are required, and of course long life production wheels. Find out more about Kerry Abrasives cutting wheels and other grinding and polishing wheels by visiting our stand at the GrindTec 2018, we are looking forward to discussing your requirements and help you find a solution for your unique application.